Isabel is a daughter of small producers from Andean part of the Cajamarca region. She gained experience in the field, working with sugar, corn, cotton, mango and coffee producers. Gender equality was always very important for her and was something she strived to promote. During her sociology studies at university in Chiclayo, she understood the challenges women in coffee-producing regions face and along with other community leaders, she founded CICAP, the Centre for Research, Training, Assistance and Promotion. Thanks to her outstanding participation in this local NGO, she helped founding ASPRO in 1992. At the Association of Organic Producers of La Florida region, she pooled resources to joint purchase of farm inputs, aiding ASPRO members morally and financially during cultivation and seeking marketing channels for farm products to ensure better and fair prices. 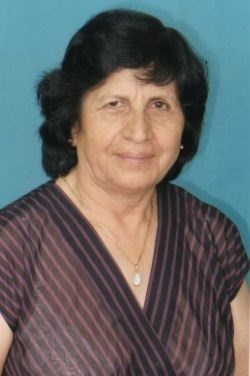 With the idea of incorporating women into the management and sales aspect of the coffee, in 1999, she facilitated the integration of some farmer organizations to become only prominent agricultural cooperative. At CECANOR (Central de Cafetaleros del Nororiente), she started exporting coffee that was both organic and Fair Trade-certified. Sales volumes and good quality of coffee helped grew long-term relationship with key coffee buyers like OPTCO. As a co-founder of Café Femenino in 2004, Isabel’s voice helps raising funds for grant requests from women in coffee-producing regions around the world. In communities where the program is present, abuse and marginalization have been greatly reduced. In 2014, she promoted the foundation of the Women’s Coffee and Quinoa Association, which now includes 800 small coffee producers.